I started my blog in August 2009. Still fairly new to it but enjoying every moment! I love the fact that it brings out the beauty and excitement of food. How gorgeous photos and descriptive words can change your perception of a dish. It's so multifaceted in the way that we're bakers/cooks, writers, and photographers. It also brings people together in a way I didn't think was possible. Getting to meet people from all over the world who have the same love as you do is incredible and extremely satisfying. I struggle with finding the time to blog. Organising my photos always takes so long as I take so many and then have to choose, and resize, and cut and crop etc. It's not often that I have a few hours at a time to sit and work on something so it gets difficult. Firstly my dad. His love and exuberence for food instilled in me the passion that I have for it.He makes every meal an experience. Other foodblogs hands down. Not so Humble Pie, Annie's Eats, Brownie Girl, Gluten-Free Girl and the Chef, and Cooksister to name a few. Also the feeling of making others happy with food. Food is joy. I'm off work on a Monday so I do a lot of my writing then. I also set aside some evenings in the week. 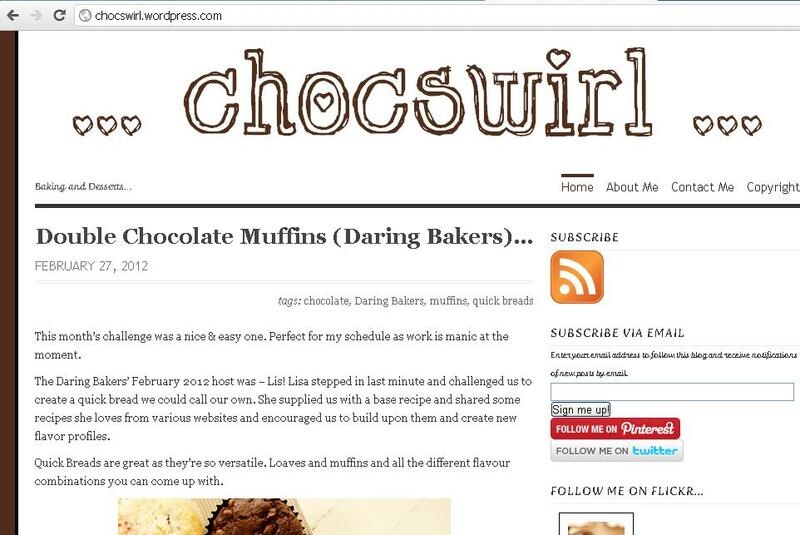 Often I'll have to choose between baking or blogging, as I only have time for one. I would say my apple brandy creme brulee, It's my absolute favourite dessert. The list would be way to long! But a few are mentioned above. The Five Flies in Cape Town. Best food I have ever had at a resturant. Coupled with the incredible service and food knowledge of the waiters, it is definatly something great.